Is there any paperwork or document for the mechanical systems of 293 West Diamond Lake Rd, Bancroft, Ontario? I need more information about the property at 293 West Diamond Lake Rd, Bancroft, Ontario. How ist the neighborhood, location and nearby amenities for 293 West Diamond Lake Rd, Bancroft, Ontario? I have questions about the roof, foundation, insulations and mechanical issues of 293 West Diamond Lake Rd, Bancroft, Ontario? I need more information about property details. What's wrong with this house? Is this a short sale? Is there any maintenance for 293 West Diamond Lake Rd, Bancroft, Ontario? What is this property worth in today's market? What are "closing costs", and how much? What steps should I take when looking for a home loan? What price home can I afford? Is my credit good enough to buy this house? What are the best mortgage options for me? How flexible is the seller on the asking price? 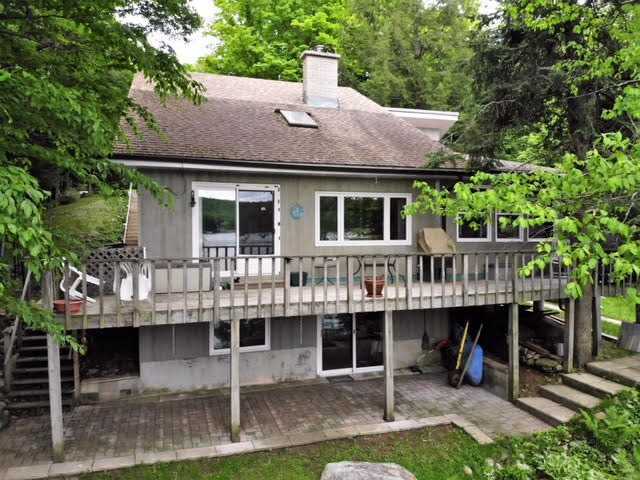 How low can I consider offering for 293 West Diamond Lake Rd, Bancroft, Ontario? Diamond Lake Waterfront Home -First Time Offered For Sale. 3 Bedrooms, Propane Furnace, Wood Stove & Hot Tub On Lower Level. Slope To Lake, Sand, Frontage For Swimming, Lots Of Updates And Well Maintained 20X12 Solarium Overlooking West Side Of Lake. Year Round Road Access, Detached Workshop, 20 Minutes To Bancroft Or 30 Minutes To Halliburton On Deep Clean Lake With Excellent Lake Trout Fishing.